Scroll down for rugged smartphone picks! Everyone has had thoughts about having a rugged smartphone which is hard as rock. Especially at times when they just drop their smartphone from 2-feet height and are experiencing a mini-heart attach every time. Or the time when your dropped phone lands on a screen and you have a phenomenon of Schrödinger’s phone – it’s both cracked and non-cracked until the moment when you pick it up and actually see the implications. The idea having an indestructible phone has been around for a while. This actually goes back to the 90’s. Do you recall Nokia 3310 (the old one, I personally hate the new release of the Nokia 3310)? This phone was neither smart nor it had a good design (ok, maybe at the time it looked cool). Yet it is the grand-grandfather to rugged phones and unfortunately no other phone seems to have inherited its indestructibility. Memes about this piece of rock still float around nowadays. It wasn’t even one of those so-called rugged phones – that’s just how the phones were made back in the day. That time when no one knew what an IP rating or Military Standard means. No but seriously, I still have my old 3310 somewhere in my storage boxes and the last time I checked about a year ago it was working perfectly. For comparison, my 4 year old HTC Desire lying in the same box shows no signs of life. 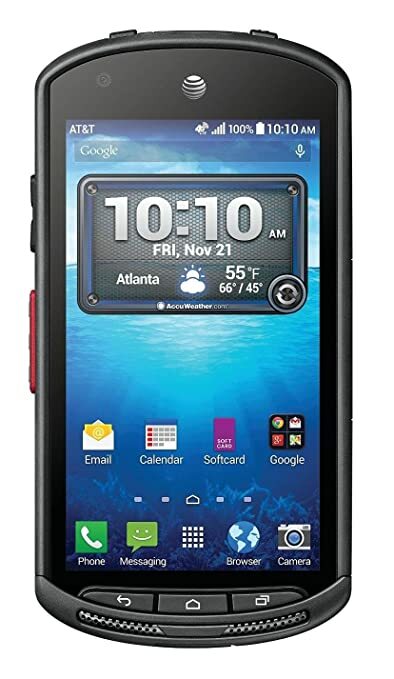 Best rugged smartphones today are considered the ones which qualify for certain resistance certificates and tests. One of the most popular ones is IP. Simply put IP (or Ingress Protection) is a rating for products resistance to solid objects and liquids. First number after letters “IP” means indicates mechanical protection level (0 meaning no protection and 6 as highest resistance) and the second number suggests the level of liquid protection (8 meaning product being protected from complete and continues immersion in water). Another popular standard is MIL-STD 810G co-maintained by US Army and US Navy. This one tests products against military conditions including heavy shock, explosive atmosphere, humidity gunfire vibration and more. MIL-STD is a real deal, guys! If you find smartphone that passed this standard – it is definitely a die hard. However make sure to double check which if the 810G tests the phones have passed, because manufacturers are becoming very clever with their marketing claims. Of course you want your die hard phone to have maximum protection, so high IP rating is important. Now, one thing you need to decide on is what level of protection is enough for your rugged smartphone. Do you need your phone to be completely dust tight or just sealed enough not to allow dust into crucial operational parts? Do you want your smartphone to be OK when fully submerged in water for a considerable amount of time or just splash resistant? Depending on how you are planning on using your rugged device will determine protection level required. Construction worker will need the full IP68 and MIL-STD preferred, whereas if you are buying a tough smartphone for your clumsy sibling, shock resistance is all they need in most cases. If you are fine with say IP56 rather than IP68, it really broadens the list of choices and often brings the price down. No need to overpay for the cool features you which will never be used. MIL-STD 810G protected rugged smartphones also tend to be pricier, but having the certification for relevant tests means it is virtually invincible. I have added a video below so you get an idea of what type of tests Military Standard performs on those poor smartphones. Indestructibility of the rugged phone is no doubt a number one priority, however you still want your device to qualify as a smartphone, right? Smart being key word here – we are in the 21st century after all. What I found with many heavy-duty phones is that often manufacturers put so much effort into making their product able to survive real-world events, that technical part of a smartphone remains neglected. Like the time when I got my dad a CAT B15 back in 2014 and after a year it has become so laggy that using it has become rather painful. 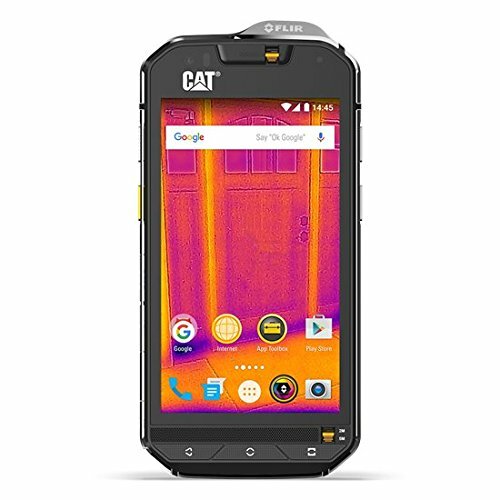 Thumbs up for them though as CAT seem to have done a way better job with their later rugged phone releases. In order to overcome such inconveniences – take precautions. One of the best precautionary measures you can take is making sure your new rugged smartphone has enough RAM (or Random Access Memory). For Android 5.0 Lollipop and above (certainly do not accept earlier versions if you want to be able to use latest apps). I recommend 2GB of RAM. No half-measures, Walter. Can get more? – great, but 2GB should suffice and will last you for at least a couple Android version updates. Since your rugged phone will be exposed to rough conditions, dust and rain from time to time, it is absolutely essential to have a very good screen. Needless to mention that the screen needs to have something like Gorilla Glass Protection. Many phones come with Corning Gorilla Glass these days, but you need to make sure it has the latest technology. The latest available is Gorilla Glass 5, but there are very few devices that have this technology, so realistically aim for Glass 4. Their earlier release Glass 3 also provides good protection against shock and scratches. However, for our rugged smartphone maximum resistance is essential. Even better if your screen is made even tougher and thicker. Nonetheless quality of the display goes along with its indestructibility qualities on the requirements list. There is no use of an indestructible rugged screen if you cannot see anything on it. So do your research and make sure the display is super bright and shows good quality images. I generally suggest going for IPS display, but Super AMOLED screens offered primarily by Samsung can also be considered as very fit candidates. Good contrast ratio is also very important for a quality screen. While most of the screen on the market will give you good visibility in nominal conditions, sunlight contrast ratio is of the greatest interest for us. When you are using your rugged smartphone in a dusty environment it will only reduce the visibility of your screen and therefore manufacturer quoted contrast ratio in reality will not be reached. Always aim for highest numeric values when looking at phone specs. Sunlight CR of 2.3 and above is something you might want to consider suitable, save yourself the trouble and invest in a good screen. After all that’s why you are buying a rugged phone – to withstand and provide good user experience in difficult situations. When you are buying a rugged smartphone looks is probably down at the bottom of the priority lists, but man, there are some seriously ugly rugged smartphones on the market. There also is a lot of competition, which means that you do have a lot of options to choose from. Ugly is not good enough, we talk about the thing you are going to be looking at every day and you want it to be worth every penny, so do not accept anything less attractive than the good old Nokia 3310. I bet you’ve seen this logo before. That’s right, it belongs to Caterpillar. It just screams I AM RUGGED. They not only manufacture excavators and heavy duty construction equipment. They have been releasing their tough cell phones too for quite some time already. When I have come across CAT phones I immediately assumed it was some kind of marketing trick. Little did I know about the vast selection of phone manufacturers at the time. S60 does have a unique look and actually the entire CAT rugged smartphone line retains some design details from the Caterpillar heavy duty machines. I must admit though that its older siblings B15, S30 were rather ugly which you cannot say about the S60. MIL-STD 810G certification against shock, dust, cold and heat is what makes it worth the company name. Resistant to drop-to-concrete from up to 1.8m. Can survive submerged in water for 1hour in 5m dept. It really is a tough guy. Just to give you an idea how strong it is – they have drove over the S60 with a tank in one of their tests – do I need to say more? It also comes equipped with 4.7” HD display which will work in the rain or even when wearing gloves. Corning Gorilla Glass Class 4. An unusual feature is its FLIR Thermal Camera which actually detects heat within the 30 metre range. Imagine all the possibilities(if you know what I mean)! In addition to above it does qualify for a decent smartphone with its 3GB RAM, 3,800 mAh battery, 16MP back and 5MP front camera, quality speakers and Android 6.0 Marshmallow straight out from the box. 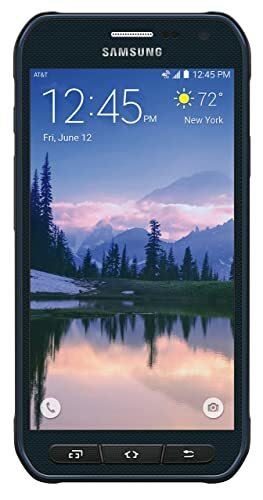 Hands down one of the best rugged smartphones in 2017 and my favorite too. Maybe it does not exactly qualify as a rugged smartphone, but K4000 Pro certainly is a tough one. This Oukitel product was not tested for IP or MIL-STD, but it can take hits and drops. The most impressive fact is the screen thickness – 1.1mm which is very thick for a smartphone screen. Apparently it’s so hard you can hammer nails in the wood and the screen would still be good as new. 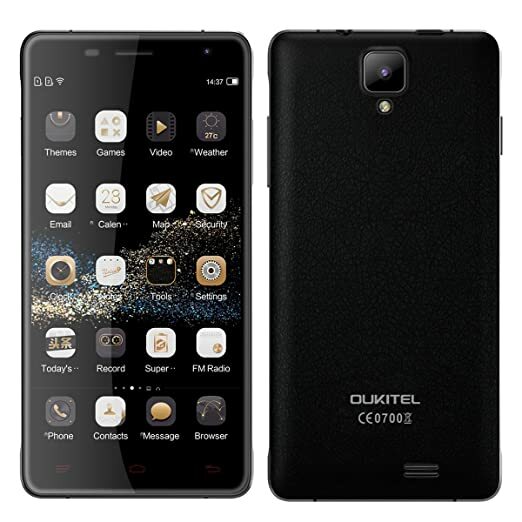 Oukitel have shot a video showing this – look for Oukitel Hammer test on Youtube. But do not get too carried away, it is not a smartphone with greatest specifications: 2GB RAM, 16GB memory, adequate screen with ok resolution (&291 ppi), actually quite large 4600mAh battery and 1GHz processor. Don’t get me wrong they are still more than you could expect for the price as K4000 Pro now is priced at below $200 mark – that is super cheap for a rugged smartphone. It all comes at a cost and with this one it’s weight and thickness of the phone – it feels like a proper brick in hand. Not saying it is bad, but a slightly different experience for sure. If you have a low budget but still need a harder phone I strongly recommend this phone. Kyocera are famous for their extremely durable phones and that is for a very good reason. They always prioritize durability over all other phone specifications. That is also true for DuraForce E6560. You won’t be able to destroy it, but on the contrary in comes with Android 4.2.2, has only average quality 4.5” screen and 8MP camera. This option is for you if you do not care about your rugged smartphone’s performance, you only want an indestructible piece of rock which can make calls, send texts, browse the internet and break down the walls. Remember when I said a rugged smartphone does not necessarily has to be ugly? S6 Active is the best proof of this. S6 Active is the counterpart of S6, however they are the twin brothers who do not look alike. Of course IP68 rating and MIL-STD certification come along with this Samsung and it even retained the powerful and cutting-edge performance features of the slimmer sibling S6. 5.1” SuperAMOLED HD display, 32 GB memory, 16MP camera and an impressive 2.1GHz processor. It even is capable of wireless charging – might not be the most useful feature while camping or working in construction, but definitely adds value and makes it more desirable as a smartphone. Interestingly, Samsung is the only manufacturer to notify that their products’ performance might not remain the same when used in rough conditions. None will, but it’s nice of them to leave a note. Overall, very good job S, you definitely deserve to be on the list. Get an iPhone 7, which is already waterproof and dustproof resistant (IP 67, so realistically splash resistant). 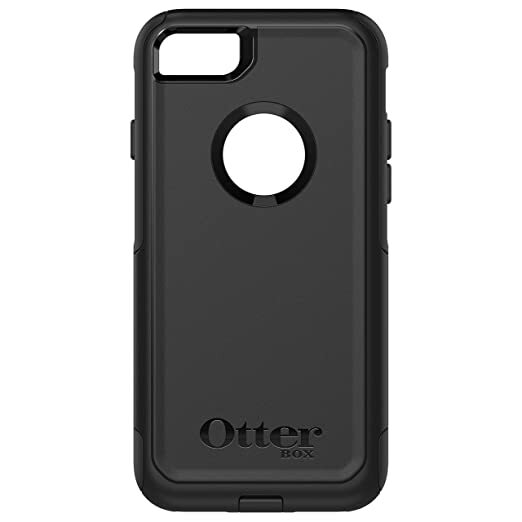 Get an OtterBox protective case from their Defender Series (essentially a rugged case). Outcome: you have phone with top-notch specs which has maximum possible protection. OtterBox products are awesome. Why they are different? – 3 layer protection. It makes your phone from shock, bump-, water-, scratch-, dust resistant (port covers) and does that very well. Even more – Defender Series phone cases feature a belt clip holster for hand-free media viewing and comes with a 1 year warranty. It is cheaper than paying for phone insurance and having this case actually means that nothing is going to happen to your phone when in need.